You won't fool anyone in these awful kicks. Fake sneakers are a well-known issue in the sneaker world, and it's getting worse as the knockoffs get better and better. And while it's always been the safest move to buy from an authorized retailer, thanks to the rise of bots, that's become even harder, forcing many to eBay. 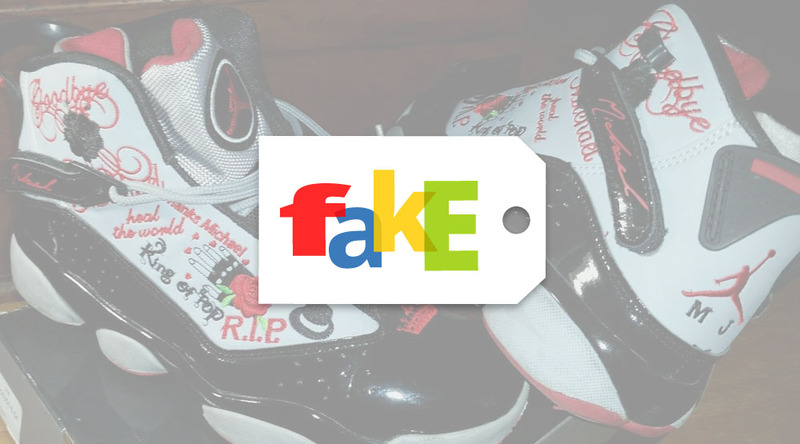 You can't ever be too careful, but here's a look at some bootleg sneakers that wouldn't fool anyone. In honor of the shoe's 23rd anniversary, we've seen a LOT of new Air Jordan 7 colorways in 2015. None of them, however have featured clear panels. If Riff Raff were ever to collaborate on a Foamposite, it very possibly might turn out like this. The King of Pop meets the King of Sneakers, and the result is an insult to both MJ and the AF1. The hang tag might fool someone. The shoe? Not so much. Move over Supreme. If the commander-in-chief ever were to collaborate with Nike, the level of hype would be unprecedented. There's good news if you're in the market for fake Michael Jackson themed sneakers: you have more than one option. The great thing about fake Fusions was that the real ones were so bad, fake manufacturers didn't hold back in their creations. There are some Jordan fans who don't like any 4s with the leather heel and straps. This is a great example of why. This is probably what the Olympic 7s should have looked like, considering it's always been strange that they featured silver rather than gold.